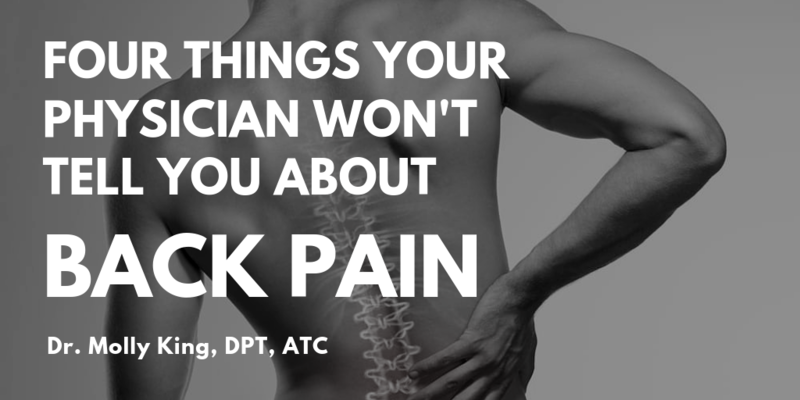 Low back pain is a common complaint in both athletic and general populations. A number of conditions can cause low back pain, from traumatic muscle strains and ligament sprains, to poor posture, to stress fractures. 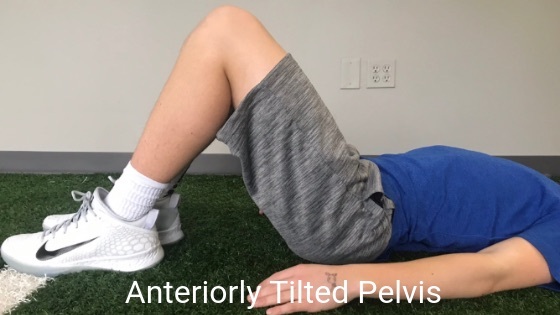 One common and serious cause of low back pain in adolescent athletes are spondylolysis and spondylolisthesis, injuries to the vertebrae in the low back that are frequently misdiagnosed and mismanaged. This means that spondylolysis is a breaking down of the bone in the vertebra, usually due to repetitive stress or trauma. A spondylolisthesis is a progression of spondylolysis, where the bone actually breaks and a portion slides forward. “Spondys,” as spondylolysis and spondylolisthesis are referred to in the medical community, are most common in the lower lumbar vertebra, particularly L4 and L5, but can also occur in the neck. Spondys are much more common in athletes than in the general population, particularly in young male athletes. Males tend to be affected 2-3x as frequently as females. Spondys account for 6-13% of all back pain in an athletic population. Spondys in an athletic population are most frequently due to repetitive, forceful extension of the spine. This causes excessive compression on the pars interarticularis, he portion of the vertebra where the stress fracture occurs. 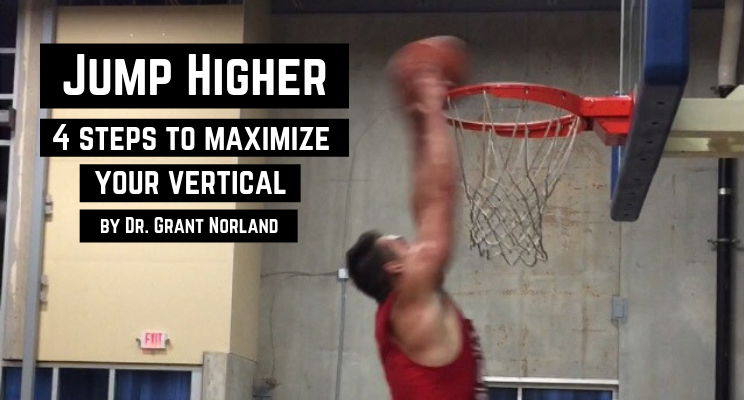 This repetitive extension is seen in football lineman, swimmers, divers, dancers, and gymnasts most frequently. One theory as to why spondys occur most often in adolescence is due to rapid growth during this phase of life. Bones grow faster than muscles, which results general “tightness” and postural changes. As the skeleton grows, the low back is pulled into lumbar lordosis, which means the low back is in excessive extension even at rest. This results in less “slack time” before the vertebrae compress on one another during athletic participation. 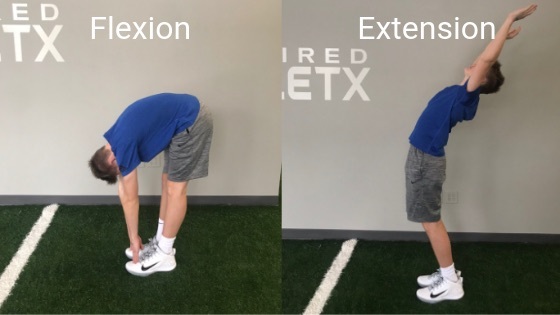 In addition, athletes who have tight hip flexors, like hockey players, are more likely to have excessive lumbar lordosis. Clinical assessment by a physical therapist or orthopedic physician can reliably rule in or out a spondy. Diagnosis is confirmed by oblique view x-rays of the low back. 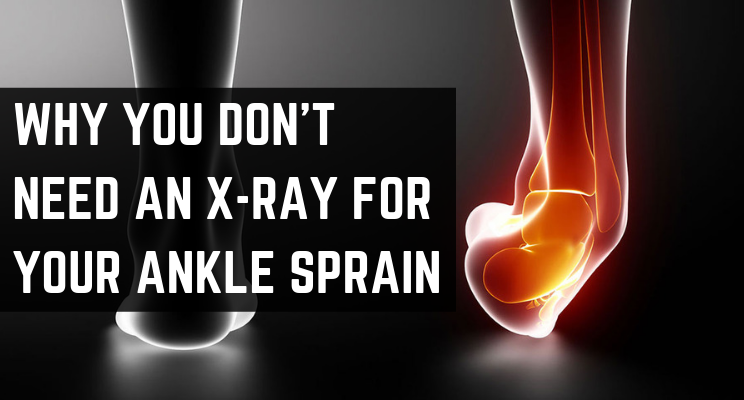 Occasionally a CT scan or MRI may be ordered to confirm diagnosis as well. 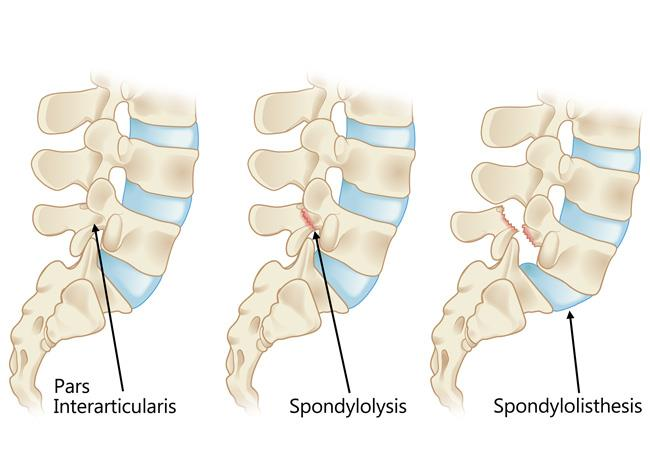 In spondylolysis and most cases of mild spondylolisthesis, treatment is conservative. Occasionally in severe cases of spondylolisthesis where the slippage of the vertebrae is causing neurological symptoms, like numbness, tingling, or weakness in the legs, or serious instability in the low back, surgery will be performed. The first step to recovery is avoiding activities that cause pain or stress on the low back. 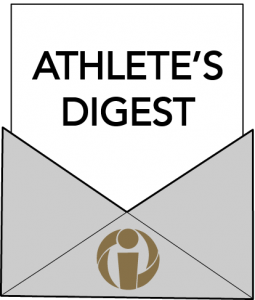 Depending on the athlete’s sport, this may mean avoiding certain skills or resting from sport all together. With appropriate physical therapy and graded return to sport, this rest period is typically no more than a few weeks. Appropriate weight lifting form and sport specific exercises. Return to play should be graded and respectful of patient pain and physicality of the sport. There should be frequent communication between the athlete, physician, physical therapist, coach, and the athlete’s parents to monitor and adjust the protocol during the return to play process. 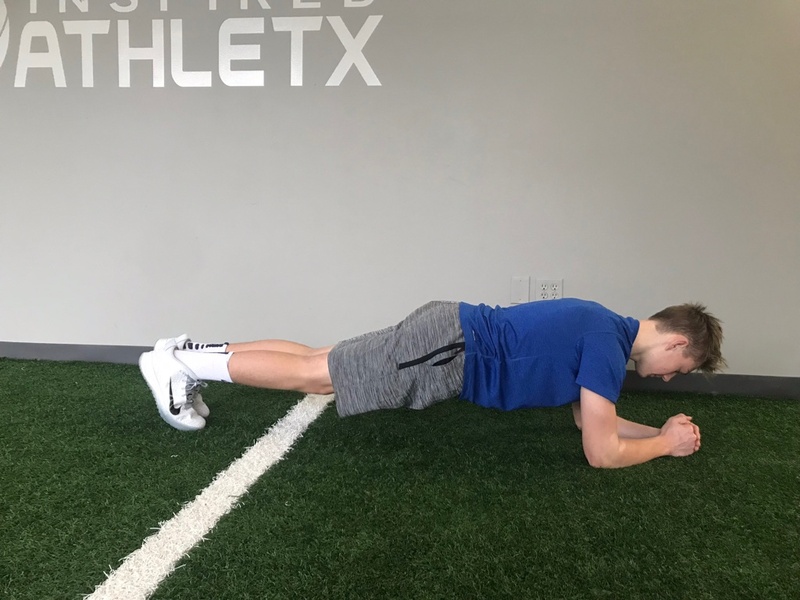 Once the athlete is back to playing without restrictions, it is imperative that they continue with their home exercise program set by their physical therapist in order to prevent future injury. This program should include continued work on lower body mobility, core stabilization, posture, and full body strengthening. It is far better to be proactive than reactive! It is far better and more effective to be proactive when addressing the risk of spondys, rather than reactive. With postural awareness, proper training, and a home program of core stability exercises, the vast majority of spondys can be prevented. Beyond back health and injury prevention, learning to rest, live, work, and play sports with appropriate low back alignment and core activation will help to balance the entire body and improve sport performance. Resting posture in excessive lordosis/extension results in greater compression on the lumbar vertebrae. 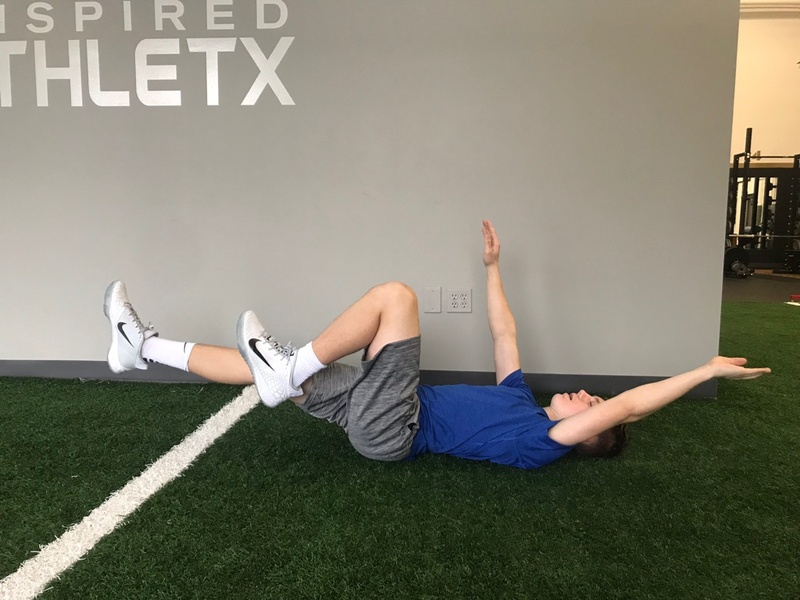 The goal is to bring the athlete in to a neutral spine position, where there is a slight curve in the low back, but the vertebrae and pelvis are stacked one on top of the other. 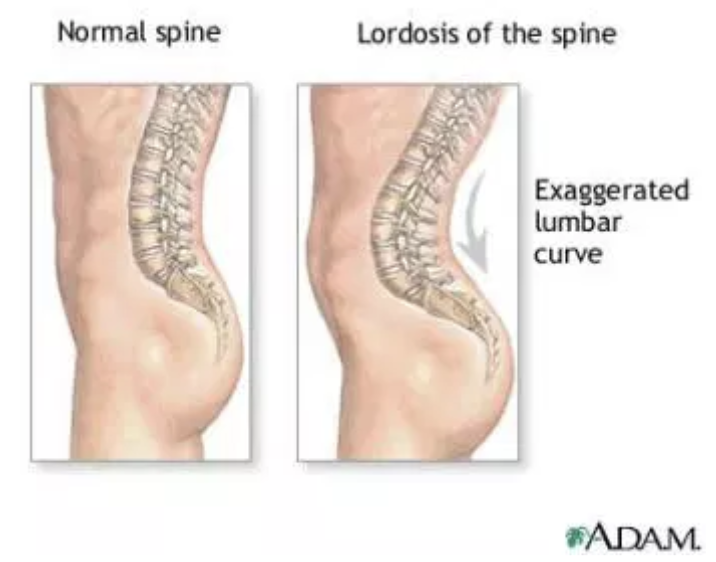 In order to determine if you have excessive lordosis/extension, look at your body sideways in a mirror or photo while resting in your normal posture. If you have a large curve in your low back, you may have excessive lordosis/extension. Other signs to look for are if your belly is leading (poking out), and your bottom is trailing behind your body. 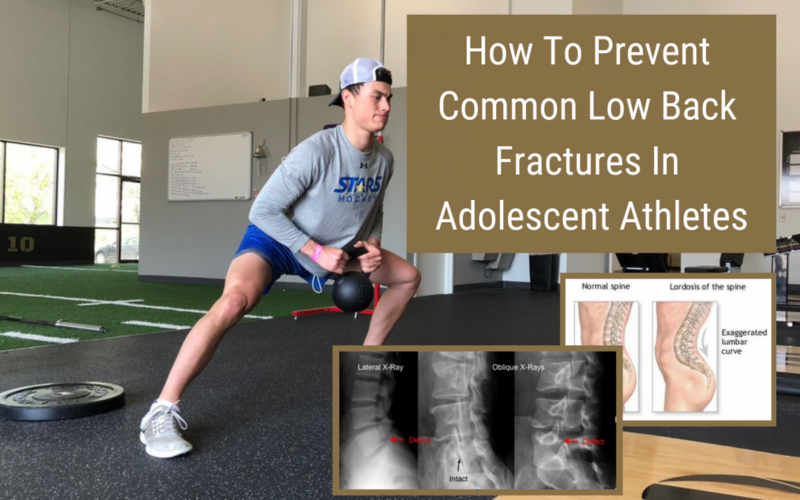 As mentioned above, soft tissue restrictions following rapid growth can contribute to postural faults in growing teens. Improving soft tissue mobility through stretching and self-soft tissue mobilization/foam rolling will allow the athlete to achieve more optimal posture. Skipping this step can lead to fighting against your own tightness to achieve efficient alignment. 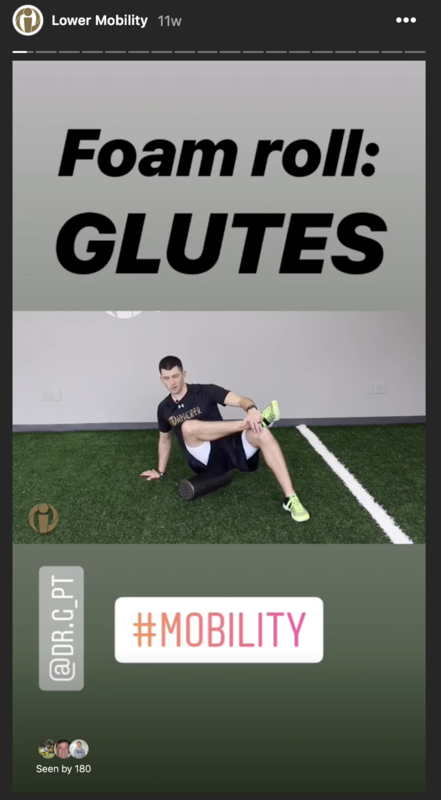 Check out our instagram highlight on lower body mobility for a full mobility workout that will improve your pelvic and lumbar spine posture. Starting lying on your back with your knees bent and feet flat on the floor, draw your bellybutton in, pull ribs down towards pelvis, and flatten your low back into the floor. 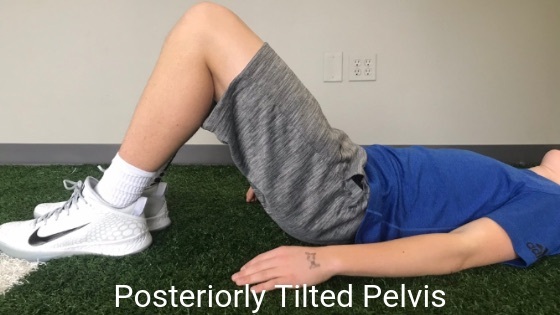 This is called a posterior pelvic tilt. Then do the opposite, relaxing your belly up and arching your back off the floor to create a little air space under your low back. This is called an anterior pelvic tilt. Move back and forth between those two extreme positions several times before finding the halfway point where your core is slightly activated and your back is touching the floor, but not smashed into it. This is called neutral spine and is your new home base. Practice this while lying down, then progress to performing it on hands and knees, kneeling, sitting, and standing. Once you’ve mastered achieving neutral spine in all these basic positions, integrate it into your lifting routine and sports skills training. Not only will living and playing sports in this position protect your spine, but it also balances out the length and tension of muscles in your whole body and allows you to be a more efficient athlete. Now that you’ve mastered finding neutral lumbar spine in a variety of positions, it is time to become strong and stable around a neutral spine. With all of these exercises, you will find neutral lumbar spine, firm up your core (draw belly button in slightly, pull ribs down towards pelvis slightly, brace core like someone is going to punch your stomach), and then perform the exercise without allowing your spine to move. Excellent beginner exercises include deadbugs, planks, side planks, bridges, and birddogs. Find neutral spine, brace core, lift legs up to 90-90 position. Drop opposite arm and leg towards floor, keeping core braced and spine neutral. Return to start position and switch. Find neutral spine, brace core, squeeze glutes. Maintaining neutral spine and driving through heels, lift bottom off floor until you are a straight line from shoulders to knees. Lower down. On hands and knees, find neutral spine and brace core. Reach opposite arm and leg out, keeping low back neutral. Return to start position and switch sides. Find neutral spine, brace core, squeeze glutes slightly. Lift hips off floor so you are balanced on elbows and toes. Do not allow bottom to reach up in the air or belly to sag. Find neutral spine, brace core, squeeze glutes slightly. Lift hips off floor and hold. Do both sides. 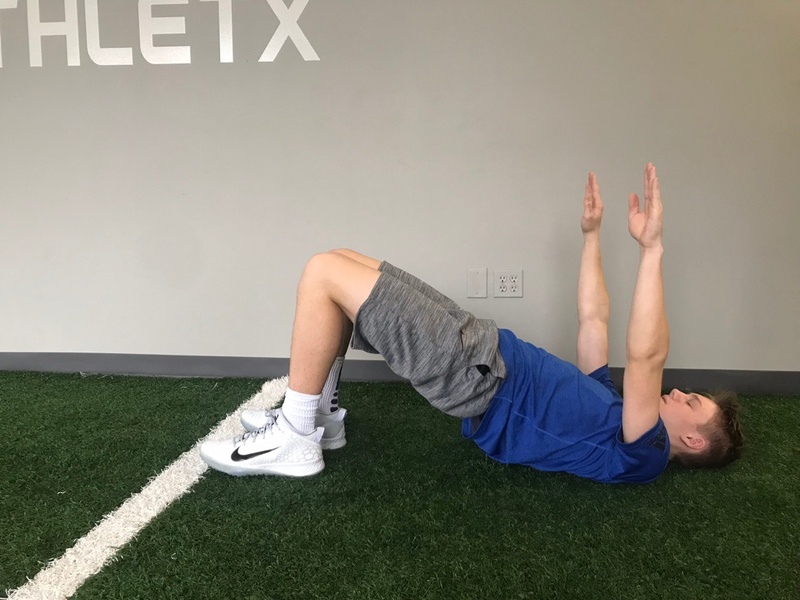 While these exercises are very beneficial to teaching a beginner to find neutral spine and activate their core appropriately, it is important to learn how to integrate these new skills into a full body strengthening program and into sport specific tasks (blocking in football, pitching in baseball, etc.). A well-educated (minimum of bachelor’s degree in exercise science) and certified personal trainer can develop a training program and instruct you in maintaining a neutral spine with lifting techniques, from squatting to deadlifting to rotary core stability, speed and agility skills, like running and jumping, and sport specific skills. Spondys are a common and serious, but very treatable, cause of back pain in adolescent males. 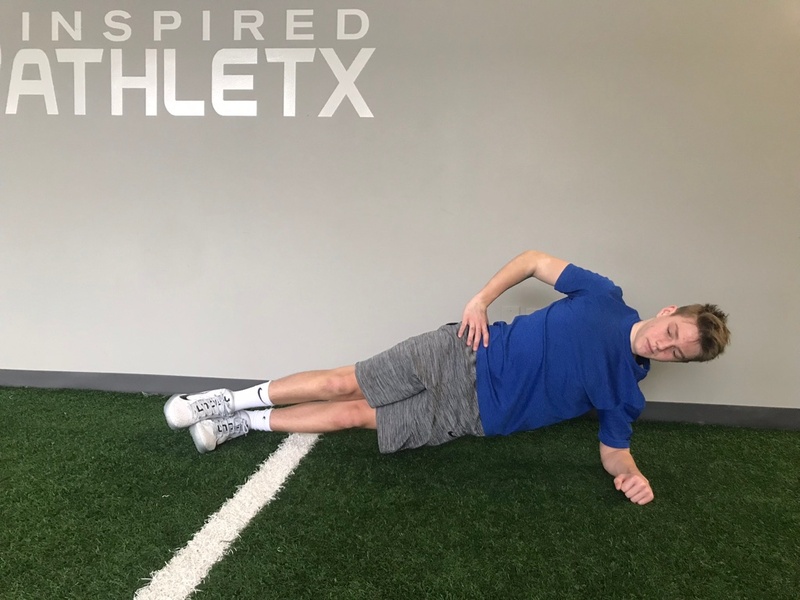 With appropriate recognition of risk factors and early intervention with mobility, core stability, and strength exercises, this sidelining injury can be prevented. 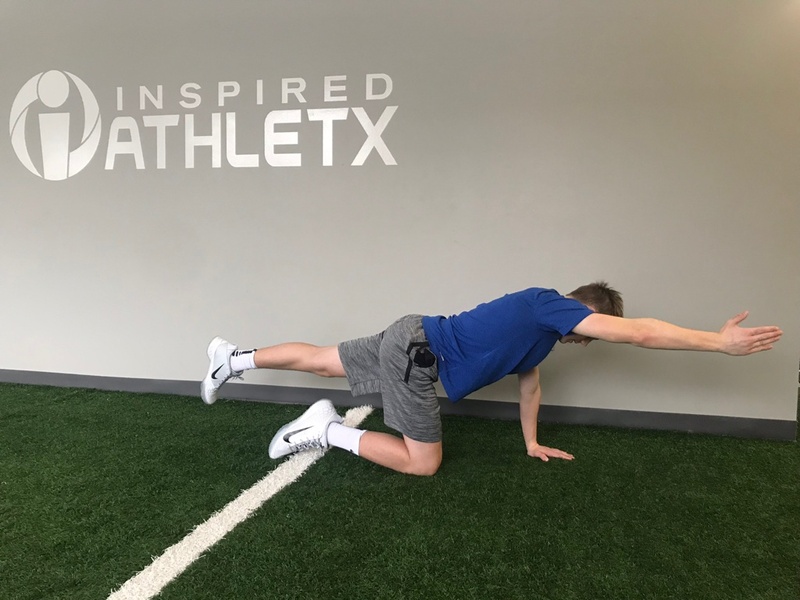 Early diagnosis and intervention by a physical therapist can help get you back in the game far faster than traditional treatment techniques. For more information on how you can recognize, prevent, and treat spondylolysis or spondylolisthesis, please contact your physical therapist, Dr. Molly King!